The objective of the Safety/Compliance Manager is to ensure all functions related to driving commercial vehicles are performed within company policy. The primary desired results are safe, effective and efficient operation of all company vehicles, including acceptable CSA scores with the DOT. Ensure all necessary driving is accomplished while maintaining the company standards with regard to safety, DOT compliance, cost effectiveness, and productivity. Prevent all violations, and if a violation occurs, assist with the immediate compliance and possible challenging of the violation/severity. Assist with and enforce driver compliance with log books, hours of service, pre and post trip inspections, and compliance with company policy and DOT regulations. Create and implement approved routes for all drivers to ensure all company objectives are achieved. Ensure all maintenance and repairs of vehicles has been completed (by others) and equipment (trucks and trailers) is roadworthy prior to permitting driver to depart. Perform education of current drivers as necessary to ensure compliance with company policies and DOT regulations. Coordinate training of new drivers with CDL schools. Mentor new drivers by communicating with them on a continual basis while they are learning company policies and DOT regulations. Perform regular evaluations of driver performance including road tests, and implement disciplinary action when appropriate as per company policy. Conducts internal periodic DOT audits and develop action plans to improve results. Promote a collaborative spirit between drivers, and other team members who rely on the driver, or upon whom the drivers rely. Manage the administration and security for all company vehicle keys and fuel cards. Assist with and enforce compliance with all requirements for medical cards and CDL driver certifications and endorsements. Facilitate a timely and effective solution to all trip related problems as they arise in order to achieve satisfactory job completion while minimizing costs. Evaluate and anticipate future problems to eliminate them before they occur. Utilize owned equipment to achieve maximum return on investment and minimize outside rental costs. Create and provide all documentation and records in a timely manner. Provide continuous evaluation and recommendations to management with regard to personnel and equipment required to accomplish the company objectives. Assist with recruiting and hiring as necessary. Communicate with other Team Members and customer as necessary to accomplish company objectives. Assist in developing and implementing safety and loss prevention programs. Monitor safety performance of on-site workers to determine vulnerability. Identify and remove unsafe or hazardous materials from job sites prior to each shift. Check workers to ensure that they are wearing the right type of clothes (helmets, jackets and gloves) before they begin their shift. Inspect workplace at the beginning of each day to make sure it is safe for operation. Perform inspection on equipment and tools that workers will use during their shift. Check the stability of scaffolding and make sure that all materials such as tar, cement and bricks are of good quality. Perform accident investigations to gauge measures that need to be taken to prevent them the next time. Write detailed report of on-site accidents. Conduct detailed safety audits on a periodic basis. Educate workers about the company’s safety policy and procedures that they need to follow. Store hazardous materials and dangerous equipment in specially designated storage places. Inspect safety related complaints such as spills, poisoning and disease outbreaks. Communicate essential safety standards to workers during each walkthrough stage regardless of how many times it has been repeated. Conduct safety trainings and orientations. Must be able to work alternative shifts and weekends as needed. 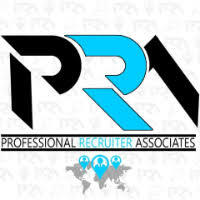 For immediate consideration, please forward a copy of your current resume to info@profrecruiters.com referencing job #1711 or a link to this job.